In this photo you can see Rick to the left, but he was not alone by a long shot. There appeared to be an apparition of a head with a small energy form near the top. Rick was in this apparition without doubt. You can also see the outline of the form clearly. 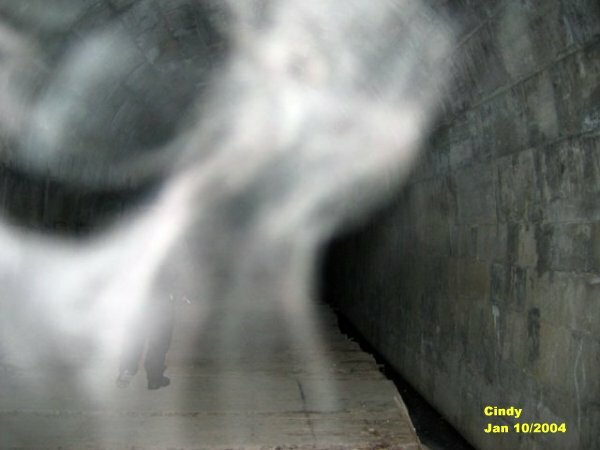 In the center of the ecto mist a form of a dog's head was taking shape. It appears as though it could have been a doberman's head with the cropped ears. For some reason there seems to be animal forms showing themselves in the tunnel. 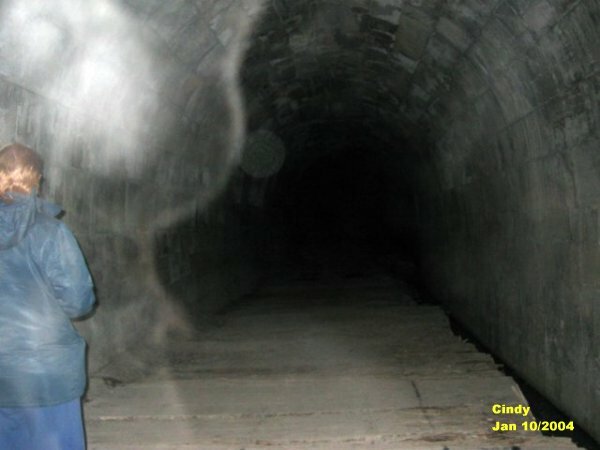 Are these the animals that may have belonged to the spirits that occupy the tunnel now????? Rick was like a magnet for the spirits. 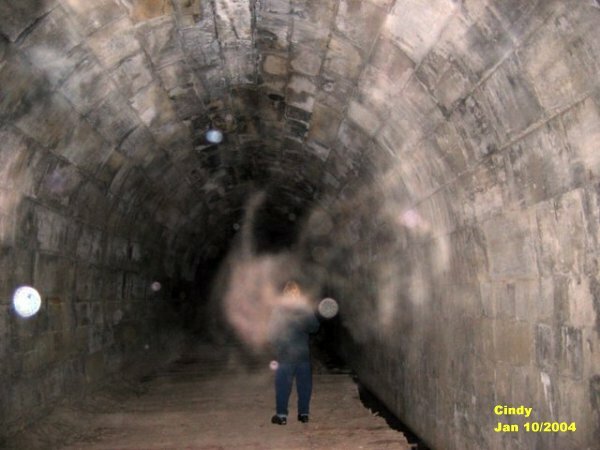 Cindy and I were always asking him to just stand down by the entrance for we would get a lot of photos of spirits around him. This one shows a pinkish color spirit attaching itself to Rick's back. 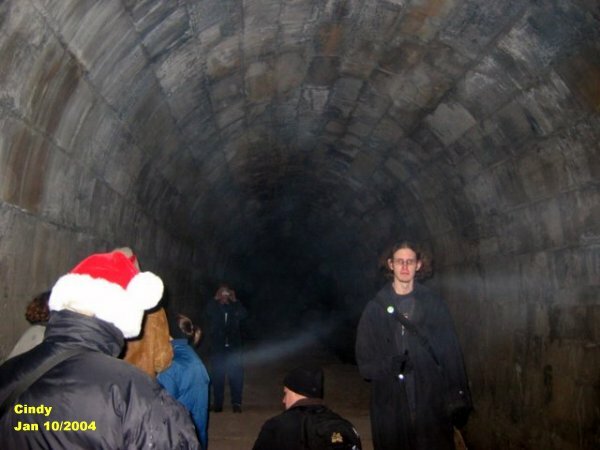 In this photo it appears as though a large image of a man appeared in the tunnel in spirit form. We believe this to be the spirit of BM. 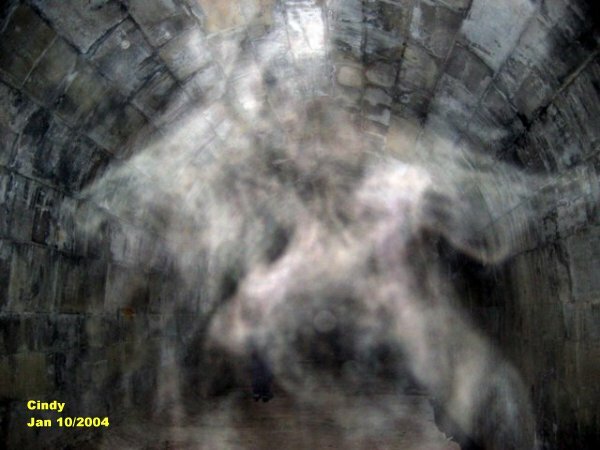 The spirit had a lot of energy to it when this photo was taken. Rick once again standing for Cindy to take a picture of what could be around him. Cindy did offer Rick a chair, but Rick being Rick, took it like a man and just stood there. 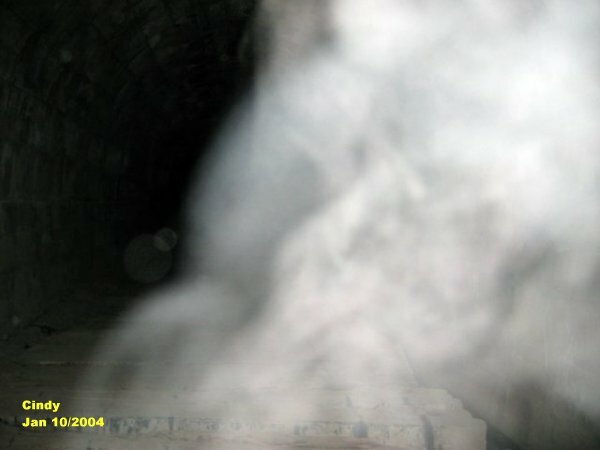 In this photo a smooth ecto mist formed just around Rick. 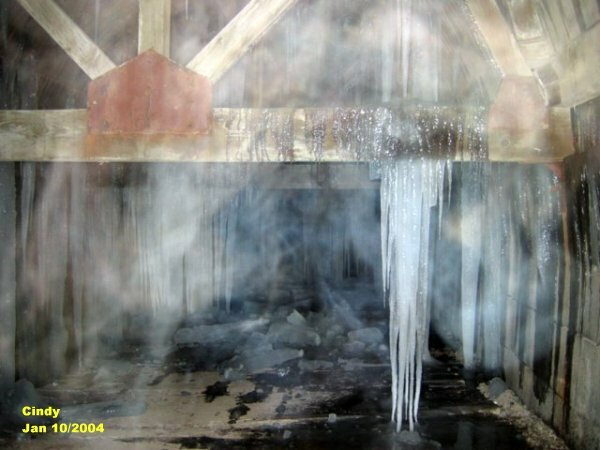 Cindy took a picture of the ice that was formed near the end of the tunnel. 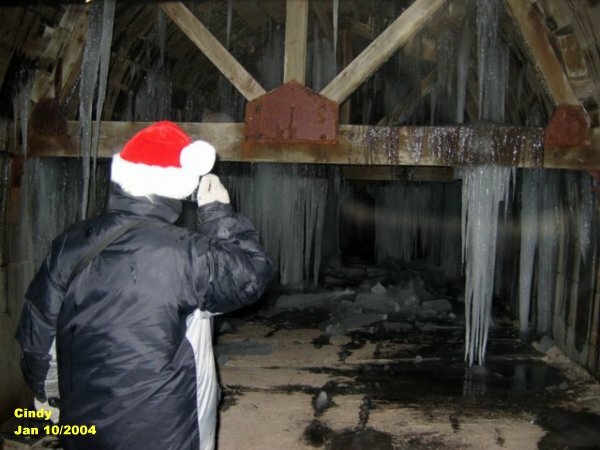 As seen in this photo you can see an energy form make its way across the ice. More spirit energy forming around the ice formations within the tunnel. In this photo it shows at the top of the mist what looks like an animal head forming but into what kind of animal is anyones guess. Cindy had taken this photo just behind Cathy. 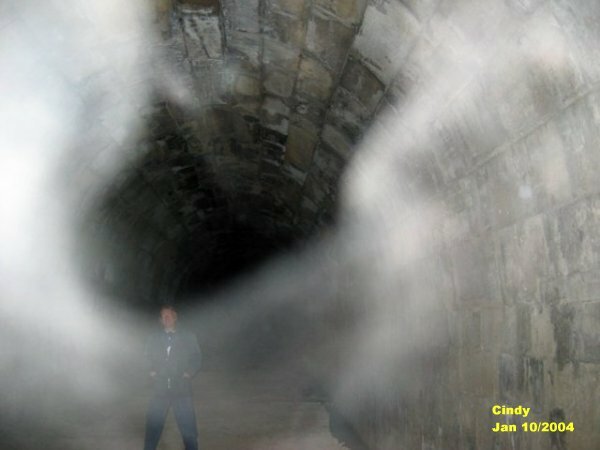 You can see Scott (a newcomer to ghost investigation) with a weird ecto mist form just behind him in a strand form.